Author: Lemebel, Pedro Set In . . . 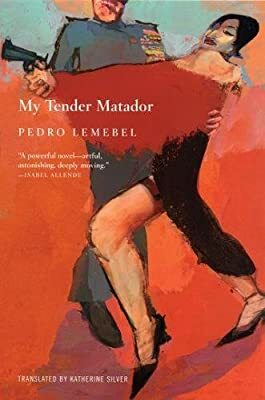 Centered around the 1986 attempt on the life of Augusto Pinochet, an event that changed Chile forever, My Tender Matador is one of the most explosive, controversial, and popular novels to have been published in that country in decades. It is spring 1986 in the city of Santiago, and Augusto Pinochet is losing his grip on power. In one of the city's many poor neighborhoods works the Queen of the Corner, a hopeless and lonely romantic who embroiders linens for the wealthy and listens to boleros to drown out the gunshots and rioting in the streets. Along comes Carlos, a young, handsome man who befriends the aging homosexual and uses his house to store mysterious boxes and hold clandestine meetings. My Tender Matador is an extraordinary novel of revolution and forbidden love, and a stirring portrait of Chile at an historical crossroads. By turns funny and profoundly moving, Pedro Lemebel's lyrical prose offers an intimate window into the mind of Pinochet himself as the world of Carlos and the Queen prepares to collide with the dictator's own in a fantastic and unexpected way.